MissElaineUsMusings | Fake blogging til I make blogging…. Anne Boleyn wakes up damp and cold. She quickly deduces that she is in her grave. To her ire she realizes that a shallow grave in the burial grounds of the Chapel of St. Peter ad Vincula, (a stone’s throw from the Tower of London) is her final testing place. The Queen is angry. Not only had a last minute decision caused her to be hanged rather than beheaded, she was buried in an unmarked grave as if she was a common nobody! She, Anne Boleyn, who until yesterday, was Queen of England and the mother of the King’s legitimate and rightful heir, her precious daughter Elizabeth. She soon finds that she is not alone as her favorite court musician Marc Smeaton & her brother George have also escaped their graves. She is pleased to find Sir Thomas Wyatt mourning her in the Cemetary. He is incredulous at the sight of his dead lover, as he witnessed her execution and burial. Anne is out for revenge. She had been wrongly charged, tried and convicted of treason with a witchcraft charge thrown in for good measure. 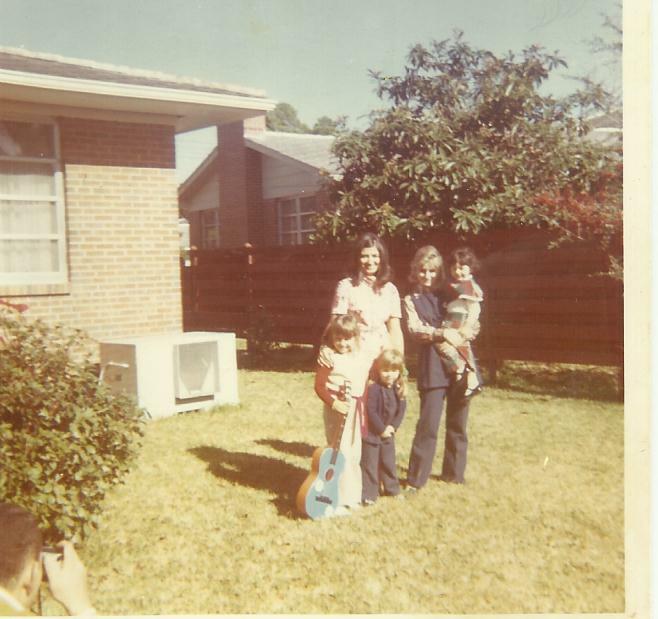 She’s been sentenced to death by beheading (along with five innocent men including brother George and Marc Smeaton). Furthermore, her husband Henry VIII has thrown in her this bloody cold tower and he’s chasing HER lady-in-waiting Jane “the whore” Seymour around the castle. Plus the old, fat King has given ALL of Anne’s jewels to the little wench. Henry has it coming if he thinks he’ll be rid of Anne Boleyn so easy. Tower Green. That will show her she’s just a common roll in the hay. Boring was more like it. Anne is brought to the Tower and promptly hung. The hangman throws her body in a shallow grave and throws some dirt over her and collects his 10 quid. Back at Westminster, Henry and Jane are dancing a reel and planning their nuptials. Anne’s grave all day, on the edge of grief stricken breakdown. Needless to say, Sir Thomas is overjoyed that his love is well “undead”. Anne begins to recognize her vast new power. Marc has some of her power, but not all.. With Sir Thomas as their human conduit, they ready plans for a campaign of terror against the King and his court. As the Westminster “hauntings” begin, Anne concludes she must feed on more human blood than Tom is giving her and begins to stealthily attack a few nameless victims. Unfortunately, her first was a Sentry and she did not finish him off correctly so now she has created a superhuman beast. Problems, problems.These beings are wildly out of control so therefore a threat to innocent Englishmen. Plus, Tom and Anne got a little too lusty and now he’s fully turned. If she didn’t loathe her fat, rat husband, this would be a real bore. And she’s deduced that Catherine of Aragon’s ghost is hanging around protecting people. Like a few of Anne’s would be victims.Like Jane Seymour. And Anne can’t see the Catholic witch but Cat can see Anne. Bugger! !Jane Seywhore managed to finally bear HVIII’s precious heir, which only increased Queen B’s fury til she heard thru the undead grapevine that darling Jane has gotten herself a fever and is dying. Hah! Thats what she gets for stealing someone else’s man. Anne, with a little help from Marc and Sir Thomas manages to wreak havoc at court and bring the King to the brink of insanity. The “Vampire” Queen becomes so blood thirsty that her love and ally her quest Sir Thomas makes it his mission to stop her forever. I love historical fiction AND vampire tales, so I really enjoyed BOLEYN TUDOR VAMPIRE. Great read for all those who liked the zombie version of Sense & Sensability and the many other similar novels. I thought the author did a great job with the characters and the story. I look forward to trying other books from her ABAXAS series. I think I’m going to go for it! Is this book non fiction? Is there a Duchess named Fergie? Camilla? Truth is far more interesting than fiction. Summary: Not all princesses are of the prince-marrying and living happily ever after variety. Some of them would rather fight, kill and scheme to get their way rather than lay around hoping that one day an attractive man will show up and kiss them while they sleep. 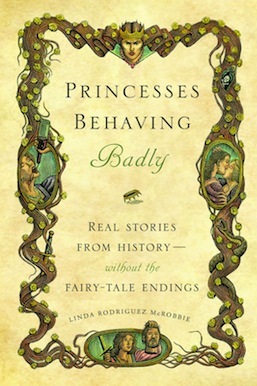 Within this book, author Linda Rodriguez McRobbie compiles true life stories of royalty who broke the Disney mold to show that not all princesses are created equal and that life is anything but a fairy tale.